The scholarship is awarded to a deserving student graduating from Forest City Regional High School, Forest City, PA. Application Deadline: May 1. The scholarship has been established to honor the memory of David M. Cavalieri, a 2012 graduate of Forest City Regional High School who tragically lost his in a car accident in 2016. David was a kind, compassionate, helpful young man who brightened every room he entered. He could often be found helping others both in and out of the classroom. An avid athlete, he participated in basketball, soccer, volleyball and snowboarding. This scholarship is being offered to a Forest City Regional High School senior who intends to pursue post-secondary education. Potential recipients need to be active athletes in at least two (2) varsity sports. They must be in good academic standing and be able to show evidence of being compassionate and kind to others. A scholarship of $1,000 will be presented at Forest City Class Night. One or more scholarship's will be awarded each year based on the eligibility of the applicants. 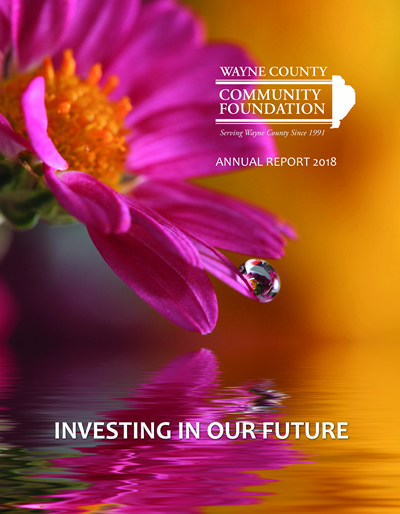 Essay: Please forward in a separate envelope (c/o) Wayne County Community Foundation, 214 Ninth Street Honesdale, PA 18431) an essay explaining how you would benefit from this scholarship. Also describe some activities in which you were involved where you helped others in need. Teacher and Coaches' References: Please also forward to the above address two (2) letters of recommedation from current or former coaches attesting to your sportsmanship, athletic performance and attendance at games and practices. In addition, the coach should comment on the applicant's desire to assist younger team members. Also forward two (2) letters of recommendation from current or former teachers, mentors, co-workers or community members attesting to your character. These letters should also focus on the applicant's compassion, kindness and helpfulness.